Tesco Extra, which occupies a premium space in Exeter Vale Shopping Centre, is situated on Russell Way, a 2.36 mile distance east of the centre of Exeter, in Digby (nearby Rydon Lane Retail Park). This store is a brilliant addition to the local businesses of Middlemoor, Topsham, St.Loye's, Wonford, Countess Wear, Clyst St.Mary, Exeter City Centre, Newcourt, Matford and The Fairways. If you plan to stop by today (Friday), it's open nonstop. 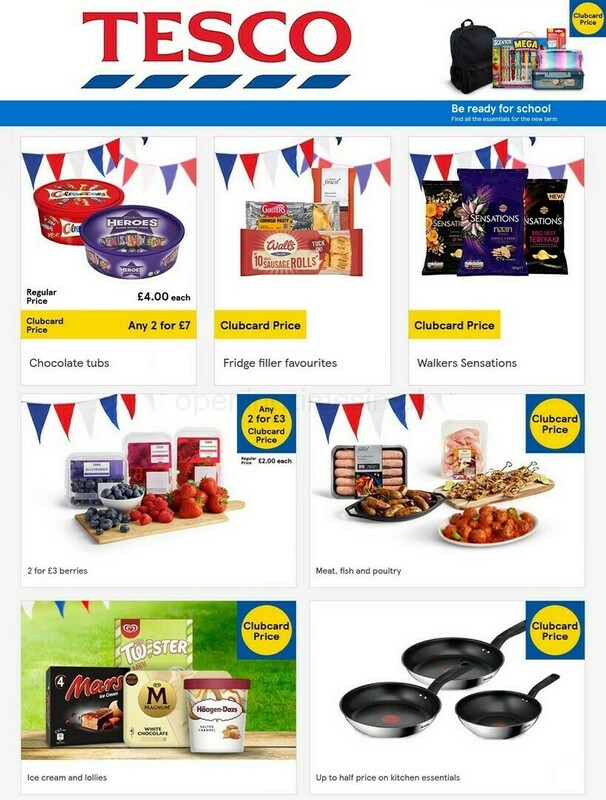 On this page you'll find all the relevant information about TESCO Digby & Sowton, Exeter, including the hours of opening, address particulars or customer rating. Tesco Extra is easily reached near the crossroads of A379 and Russell Way, in Digby, Exeter, at Exeter Vale Shopping Centre. Just a 1 minute trip from Digby Drive, A379 and Rydon Lane; a 4 minute drive from Sidmouth Road, Bridge Road, Topsham Road or Junction 30 (Sandy Gate) of M5; and a 12 minute drive time from A30 and A38/Devon Expressway. There are a number of buses that stop at Pynes Hill, Lewis Crescent, Retail Park and Tesco Filling Station. The best lines to take are the D, H and J. The best way to get to the store is from Digby & Sowton Train Station (3170 ft) and Newcourt Train Station (3390 ft away). GWR is the regular service line. Around this supermarket there is Royal Devon & Exeter Hospital, Exeter Golf & Country Club with Wear Park Spa & Restaurant, Rydon Lane Retail Park, King George V Playing Fields, Sandy Park, Southbrook School, Ludwell Valley Park and Sowton Industrial Estate. The total number of TESCO branches presently open in Exeter, Devon is 7. Visit this link for a complete listing of TESCO stores near Exeter. Please note, open hours for TESCO in Digby & Sowton, Exeter may not be accurate over UK public holidays. For the whole of 2019 these exceptions are applicable to Christmas Day, New Year's, Easter or Bank Holidays. The quickest way to get precise info about holiday hours of business for TESCO Digby & Sowton, Exeter is to visit the official website, or call the information line at 0800 50 5555. Disabled parking facilities are available. An induction loop has been installed in our store. Facilities are available for people with hearing impairments. Fully accessible toilets are available within our store. Facilities are available for people with mobility impairment. Non assisted wheelchair access is possible. Wheelchair assistance is possible in our store. Assistance dogs are welcome in our store. Facilities are available for people who are visually impaired. Including large print and braille. Don't forget to take a look at the wide assortment of fine stores at Exeter Vale Shopping Centre. Help us keep the information as current as possible. Please don’t hesitate to use the report a problem form to report any errors with the address info or hours of operation for TESCO in Digby & Sowton, Exeter. Below, you can share your comments about TESCO, or use the star ranking scale.